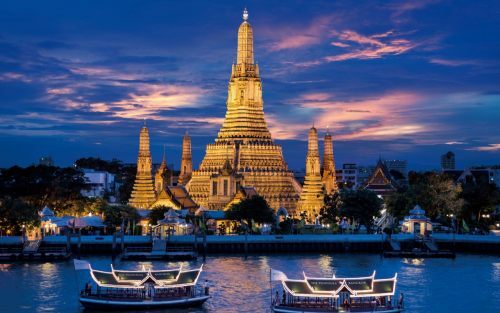 ANA (All Nippon Airways) and United Airlines have dropped the price of their flights from Winnipeg to Bangkok, Thailand down to between $674 and $719 CAD roundtrip including taxes. Some of the flights have a 16 hour layover in Tokyo, Japan on the way there. 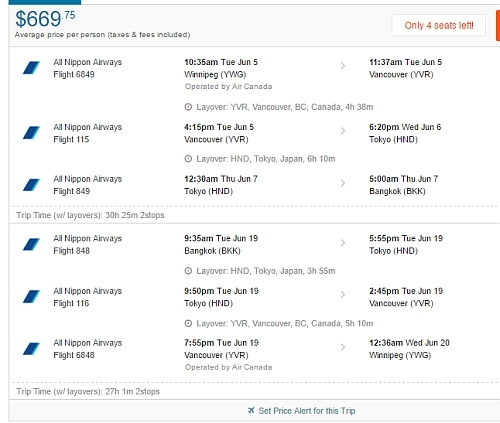 It's also possible to extend this layover in Japan to multiple days, for about an extra $99 on average. - For dates, try using Monday, Tuesday, Wednesday, Thursday dates for the first and third flights. 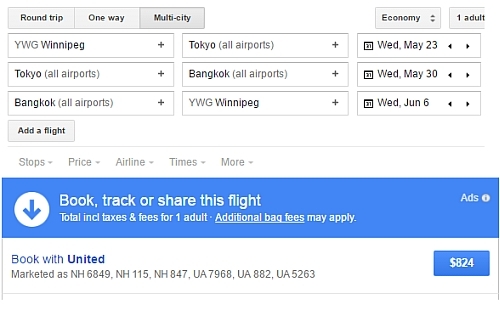 winnipeg, ywg, flight deals, asia, southeast asia, all nippon airways, ana, bangkok, thailand and bkk.